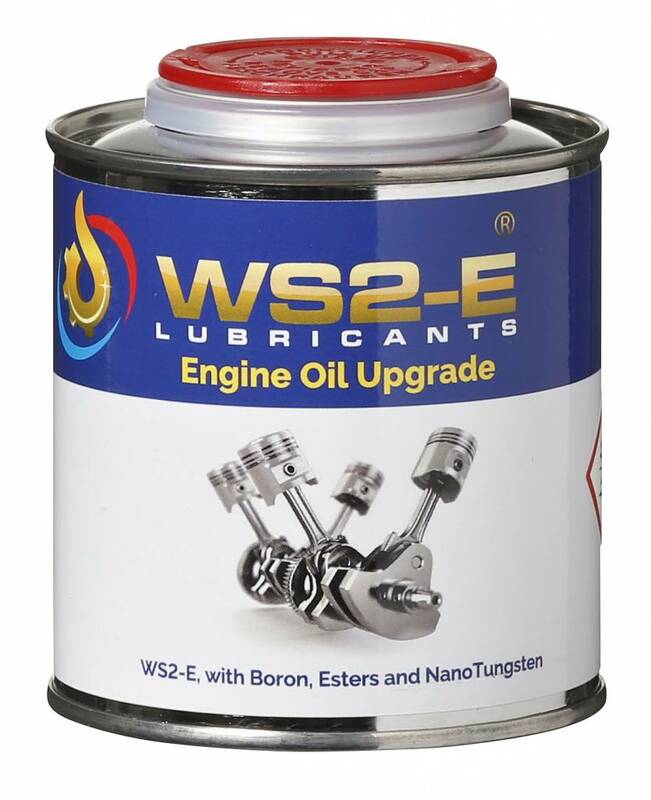 WS2-E Engine Oil Upgrade consists mainly of a 100% synthetic ester, Tungsten nano-particles and Boron. For fuel economy, reduced engine wear and lower oil consumption. 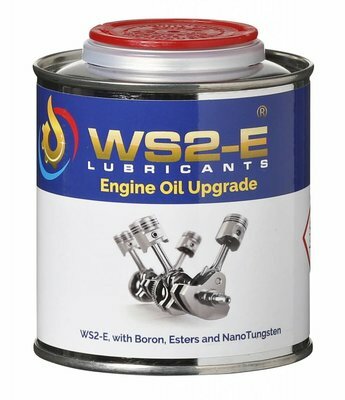 WS2-E Engine Oil Upgrade consists mainly of a 100% synthetic ester, Tungsten nano-particles and Boron. 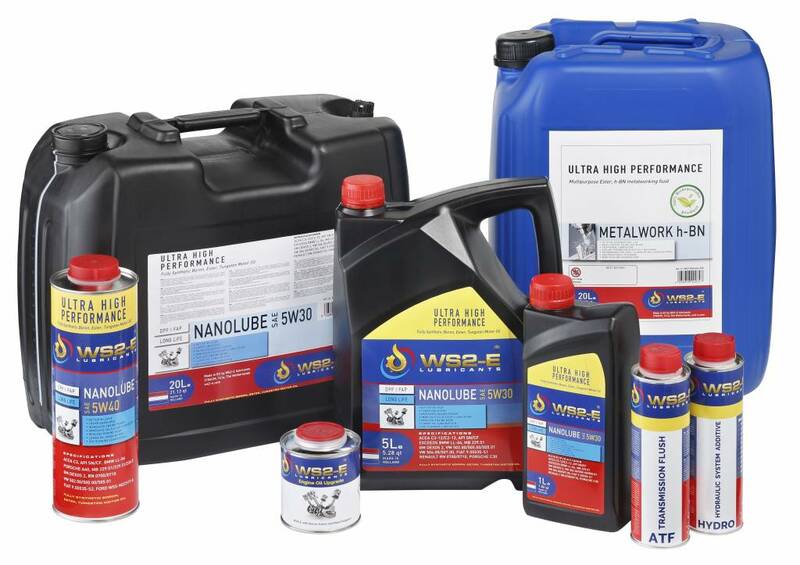 Please note: for engines for which a mineral oil is prescribed and for engines where an ester-based engine oil is already used tick WS2-E Classic. Belong to the group V synthetic lubricants, the highest group, with 100% synthetic compounds. Esters are polar and adhere to positively charged metal surfaces, thereby giving an immediate lubrication during cold start, even after a very long standstill of the engine. Esters are also mutually attracted to each other, thus providing a very strong lubricating film, even under extreme loads, temperatures and engine revs. Esters are very good dispersants and solvents, thus keeping combustion residues dissolved and floating in the engine, debris that could otherwise deposit as sludge or varnish formation. Esters are biodegradable, have a low toxicity, a low pour point, a high to very high viscosity index, a high thermal stability and superior lubricating properties. Tungsten disulfide (WS2) is a dry powder lubricant "the smoothest element known to science". WS2 provides a superior dry lubricating property (Coefficient of Friction Dynamic @ 0.03 & Static @ 0.07) unmatched by any other material including PTFE, graphite and molybdenum disulfide (MoS2). 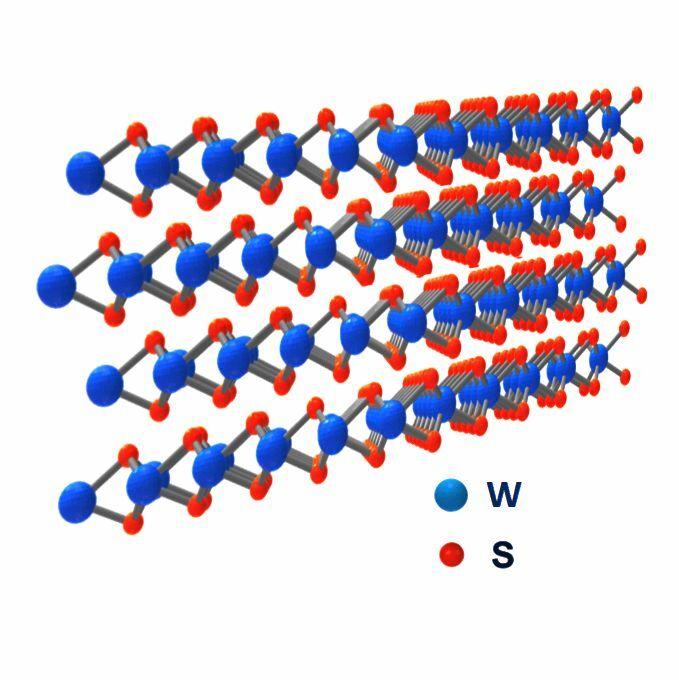 Tungsten disulfide has a temperature resistance of -450 ° F (-270º C) to 1200 ° F (650º C) the bearing capacity of the WS2 film layer is extremely high at 300.000 psi, more than 20.000 bar. The film strenght of an engine oil with WS2 is up to 1.38 times higher and the sintered load strenght is up to 2.33 times higher than that of the same engine oil without WS2 addition. The coefficients of friction of engine parts lubricated by Tungsten disulfide engine oil will decrease with the increase of time. The unique WS2 nanoparticles reduce friction and heat, and therefore mechanical wear. Simultaneously contact pressure causes the nanoparticles to exfoliate and thus releasing tribofilms that attach to the surface unevenness of the moving engine parts, making them smooth. The WS2 nanoparticles in WS2-E Engine Oil Upgrade have a size of 80 to 120 nanometers, 800 times smaller than the thickness of a human hair and 200 times smaller than the mesh size of a standard oil filter (20 microns). - Reduced fuel consumption and emissions through reduced friction and increased combustion gas density. - Immediate lubrication at cold start, Ester and WS2 attach to metal, the lubricant film remains intact even under extreme loads, temperatures and speeds. - Reduces and removes varnish and sludge formation, increased dirt holding capacity of the engine oil, cleaner engine. - Greatly reduced engine wear, saving on maintenance and repair costs, increases the "creeping" power of the engine oil, better lubrication in hard to reach places within the engine. - Reduced oil consumption and engine noise. - Lowers the pour point and volatility, increases the viscosity index, thermal stability and heat removal capacity of the engine oil. - Excellent dry running lubrication due to high Tungsten concentration. - Increases the anti-oxidation and anti-wear ability of the engine oil. - Reduces the load and aging of the engine oil, allows higher engine operating temperatures without oxidation of the engine oil. - WS2 nanoparticles are not separated by the oil filter. - Does not clogg Diesel Particulate Filters. - Suitable for gasoline, LPG, LNG and diesel engines with or without DPF. The contents of the can WS2-E is sufficient to treat 3.5 to 5 liters of engine oil. Drain the old engine oil and renew the oil filter. Fill the engine with new engine oil to about 250 cc below the prescribed amount. Shake the can WS2-E vigorously for 1 minute in order to avoid that Tungsten particles remain in the can. (These are measured for the amount of engine oil and thus extremely concentrated in the can). Add the contents of the can WS2-E Engine Oil Upgrade to the engine. Start the engine and let it run for about 10 to 15 minutes, at least until the engine oil is up to operating temperature. Turn the engine off, wait 10 minutes and check the oil level. You can also add WS 2-E to the existing engine oil if it is not ready for change. Make sure in this case that the maximum engine oil level is not exceeded! Important, for the best results, follow the instuctions above exactly ! After about 1000 km's the first effects of the WS2-E Engine Oil Upgrade become noticeable, after 3 to 4 oil changes, at the prescribed interval, with the addition of WS2-E Engine Oil Upgrade the maximum impact is achieved and all moving parts within the engine will be coated with an ultra-thin, super strong and permanent WS2 coating. Main ingredients WS2-E Engine Oil Upgrade 250 cc. CAUTION : Keep the can WS2-E Engine Oil Upgrade away from children ! For use in engine oil only, not suitable for motorcycles with wet clutch ! Not recommended for use in engines where a mineral oil is prescribed and for engines which already use an ester-based engine oil in these cases order WS2-E Classic! Distributor requests : send an email to info@ardeca-lubricants.nl.